Pakistani politicians, particularly PMLN and Nawaz Sharif, love to highlight China-Pakistan Economic Corridor (CPEC) projects and their accomplishments in terms of motorways, metro bus, metro trains, ring roads and airports rather education and health care. And the reason they do it is because such projects can be completed before the next elections while the returns on investments in education and health take much longer to become visible. "Lijian Zhao, a Chinese diplomat, says China is all too aware that Pakistan needs more than just big-ticket infrastructure if it is to flourish. Disarmingly, he praises the efforts of Britain and other countries to improve Pakistan’s “software”, such as education and the rule of law. “But China’s expertise is hardware,” says Mr Zhao." The history of the industrialized world tells us that democracy, peace and prosperity can not be sustained in the long run without a solid foundation of a healthy and well-educated society. Pakistani leaders must learn from history and pay more attention to accelerate human development along with building the necessary infrastructure such CPEC projects. 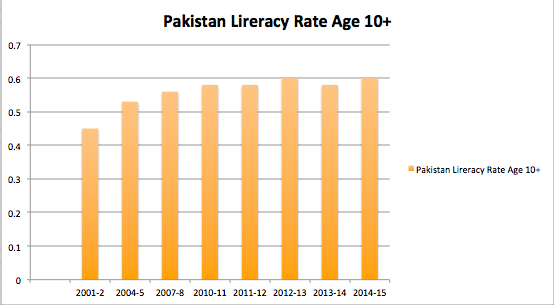 They must allocate greater resources and maintain sharp focus to improve education and health of the people of Pakistan. 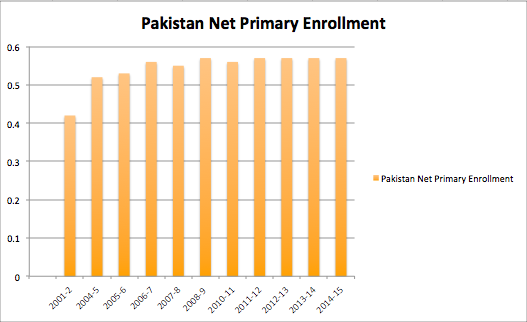 A second area is one of the best investments Pakistan can make: investing in its own people. Pakistan’s population of 200 million is expected under current projections to double by 2050 and so these investments cannot wait. 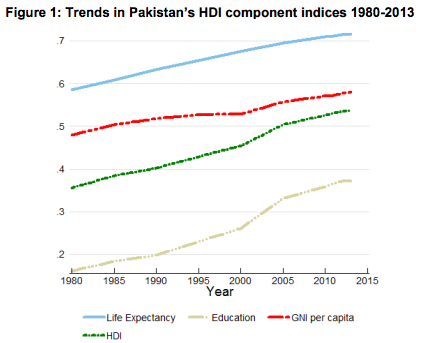 Currently Pakistan spends only three per cent of its GDP on health, nutrition, and education. This needs to double if it is to make a significant impact. Pakistan will need to raise more tax revenue to pay for these services and improve on the way that the money is spent. A third area that I discussed with Pakistan’s leaders is the intertwined challenges of water, energy and security. Tarbela was completed in 1974 as part of the Indus Basin Project following the Indus Waters Treaty between India and Pakistan in 1960. This Treaty, to which the World Bank is a signatory, has survived frequent tensions between India and Pakistan, including conflict, and provided a framework for irrigation and hydropower development in both countries for more than half a century. By PWC’s MER measure, Canada’s GDP will slip to No. 17 by 2050, only narrowly beating both Egypt (No. 18) and Pakistan (19). This first digital system in the education sector in Pakistan allows transparent and effective monitoring of staff, students and school infrastructure. Grade seven in the Qureshi Government Boys Secondary School in Karachi is bustling with activity. The science class is in session and the chemistry teacher is talking about atoms and molecules. The students listen eagerly as the sea breeze permeates the room. In the adjacent staff room, Sultan Dogar has just arrived. He is the Field Monitoring Assistant from the Sindh government and comes every two months to monitor teacher presence and school infrastructure. He uses a fingerprint-based biometric and photo system supported by Global Positioning System (GPS) coordinates. More than 26,200 schools and 210,000 education staff spread across the province are being monitored. The transparent and effective system aims to address such problems as “absconder teachers” – teachers who are employed yet absent for a lengthy period--, missing basic facilities and infrastructure, closed schools and lack of reliable and timely information on school status and teacher presence. To date, disciplinary action has been initiated against 40,000 absent teachers and 6,000 absconders. As Dogar records the data, it is transmitted in real time to a centralized dashboard. The Education and Literacy Department has access to this information and uses it to plan and make informed decisions. The system has been set up under the Sindh Global Partnership for Education project, which supports the government’s reform efforts over a three-year period. The government has been at the forefront of this effort and sees immense value in it. ‘‘The Sindh School Monitoring System brings together technology and a robust accountability mechanism to address long-standing governance issues in education,” says Fazlullah Pechuho, Former Secretary Education and Literacy Department, Sindh. Teachers consider it a just and fair system. ‘‘The system acknowledges teachers like us who come regularly and identifies those who don’t. That is only fair,’’ says Shaheen Afrooz who teaches Urdu in a primary school. Renowned scientist and former Minister of Science, Dr Atta-ur-Rehman has called for increased collaboration between natural and social scientists to implement new ways of bringing peace to the world. Technology is a double-edged sword and it needs to be used for the betterment and welfare of mankind and not for their destruction, To earn peace for human beings. When queries were raised about why scientists have not done much to contribute towards peace in the world, the former chairman of the Higher Education Commission replied that coordination between social scientists and [experts in] natural sciences is essential. Dr. Rehman compared the GDP and economic development level of China and Singapore with Pakistan and recognized that development in these countries was made possible thanks to efficient utilization of manpower through quality education. If Singapore’s exports are $400 billion, it is unfortunate that Pakistan’s exports are only $22 billion because Pakistan lacks in exporting technology and value-added goods. He highlighted the need to emphasize on polishing creative minds in order to eliminate the gap in knowledge, science and technology. He said that the universities are not measured by the number of enrollments or the buildings they have, but on the basis of research work they do. Dr. Rehman talked about providing gadgets to the blind would be able to “see” and drive vehicles and devices which can let you communicate in several languages. He also introduced nanotechnology, e-materials, and ebb materials to the audience. He emphasized how Pakistanis need to realize the importance of science and technology for economic empowerment and encouraged young scholars to play an active role in their field to promote research culture in Pakistan. He stressed upon the importance of developing a research culture by providing incentives to faculty members and students adding that quality should be preferred at universities rather than multiplying their numbers and ignoring the quality. In his concluding comments, HOD-Faculty of Social Sciences, Dr Moonis Ahmar said the thirst for acquiring knowledge was non-existent among the general population of Pakistan. He prompted the young generation to concentrate on training and trying to exceed expectations in their field without squandering their time as “we cannot afford to remain poor and backward”. ISLAMABAD: The National Highway Authority (NHA) is all set to complete the Karachi-Hyderabad Motorway (M-9) by August this year, almost seven months ahead of its scheduled completion date. The project is likely to be inaugurated on August 14, well before the time in view of its unusual importance as around 80% of the trade activities in the country are going to be linked with this route. The cost of the project is Rs44 billion and, once completed, it is likely to bring a revolution in terms of connecting the country’s vital economic centres with the upcountry by facilitating the movement of heavy commercial vehicles originating from the Karachi Port and Port Qasim. It will also facilitate the traffic coming from Karachi Northern Bypass (KNBP) and Makran Coastal Highway (MCH), say the documents available with The Express Tribune. Connecting the country’s two important commercial centres – Karachi and Hyderabad – the M-9 will carry around 35 thousand vehicles every day. These vehicles include 18-20 thousand heavy commercial vehicles originating from Karachi Port and Port Qasim, according to the documents. The project was started in September 2015 under public-private partnership as the government was short of funds to finance this project. The Frontier Works Organisation (FWO) is its contractor and concessionaire. The first 80km-long section of the motorway has already been successfully completed. It was inaugurated in February 2017. “It is one of the mega projects on which the government has not spent a single penny,” said NHA spokesperson Kashif Zaman. He said the M-9 was being built according to the best international standards along with a 200 km-long 4-lane service road, which means 2-lanes on either side of the motorway. “This is the first motorway in Pakistan that will have four-lane service roads on either side, as usually there is fencing,” he said. He said it will have 8 new interchanges at Malir, Dumba Goth, Lucky Cement, Power Cement, Noriabad, Thano Bulla Khan and Bolari. These interchanges will link the adjoining areas with the motorway thus facilitating the movement and boosting economic activities. Meanwhile, in order to facilitate smooth movement of traffic and minimise risks of accidents, provision of proper diversions has been ensured during the construction. “The rest areas will be equipped with all essential facilities such as restaurant, medical centre, mosque, fuel station, mini workshop, business centres and toilets,” he added. This is risky but I am not going to argue it anyway. I strongly believe that liberal democracy is the best way to run a country. 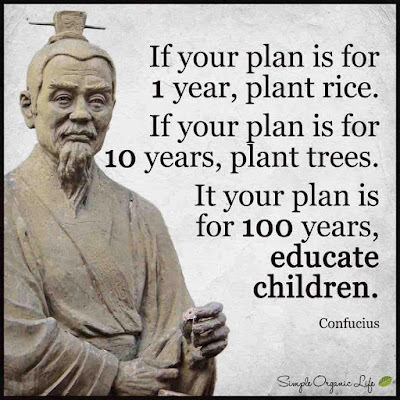 People like me, who believe this, are often tempted to argue that democracy leads to, or its even a requirement for, other good things, like peace, social progress, health improvement, and economic growth. But here's the thing, and it is hard to accept: the evidence does not support this stance.